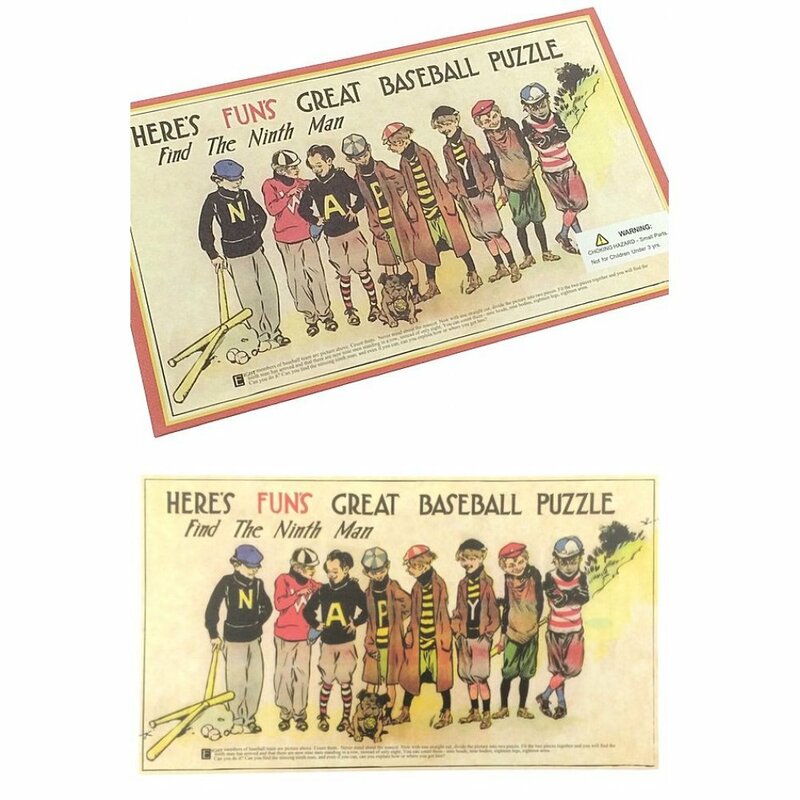 Find the ninth man on the team in our classic Great Baseball Puzzle? 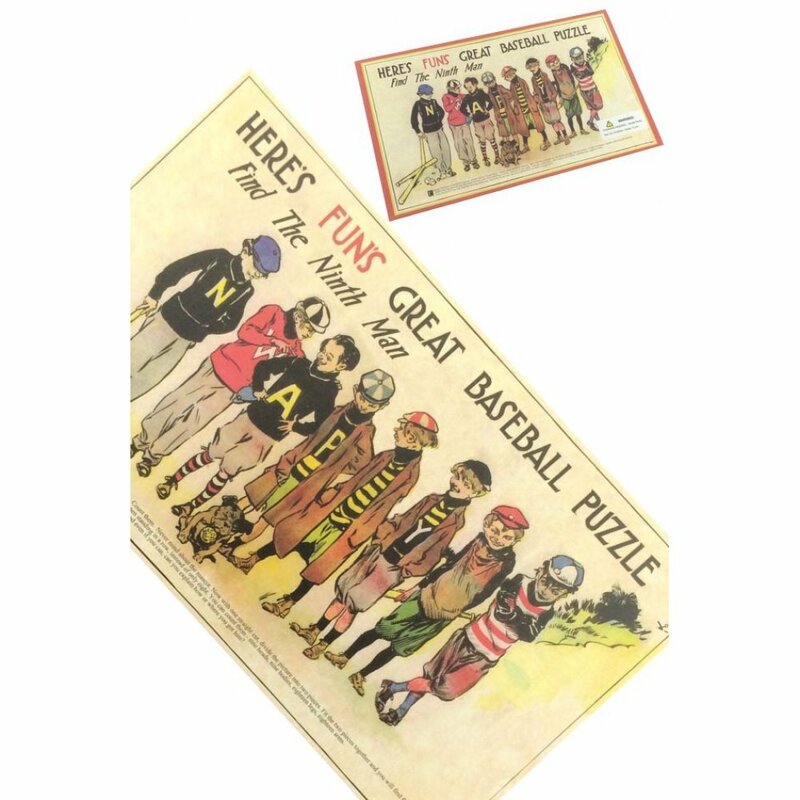 You can easily see eight members of a baseball team and a mascot. 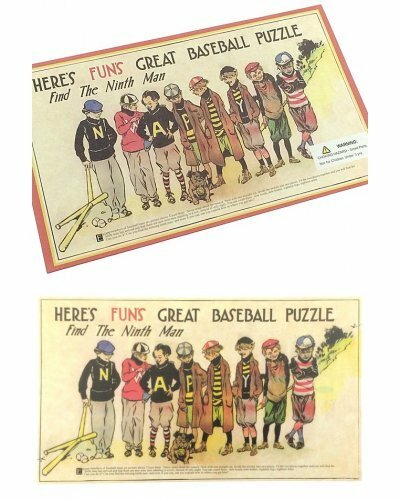 Just cut the illustration along the line and then slide the clever image to find the ninth player. Try to understand this artistic optical illusion. 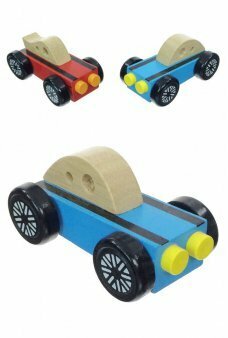 This puzzle is a nostalgic delight for all ages. 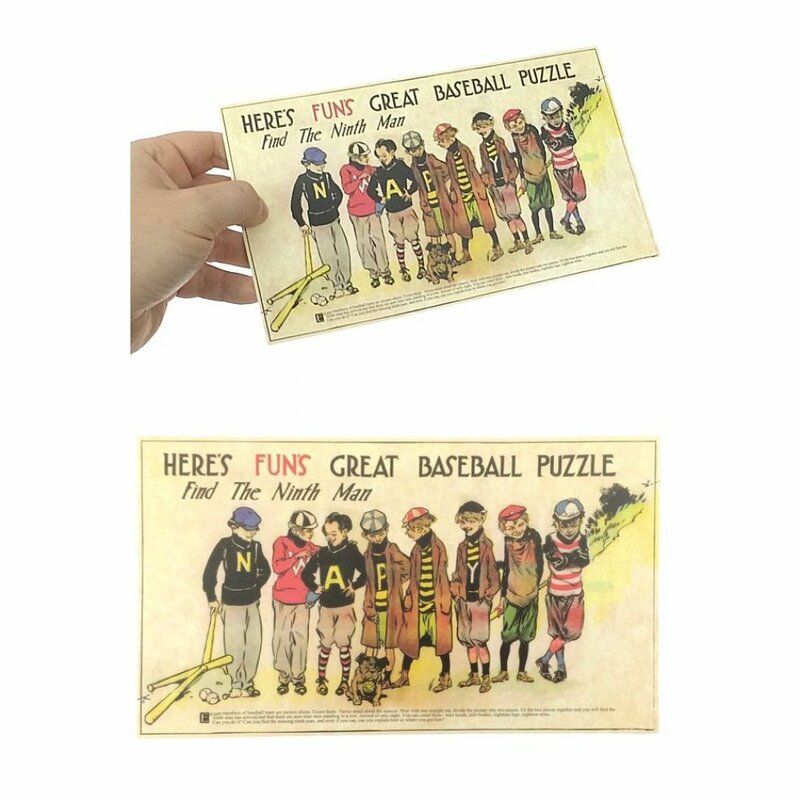 A unique gift for your baseball fan. 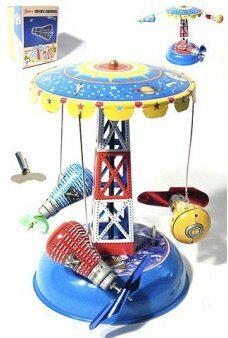 Ride the Space Capsule Carrousel like a real astronaut! Wind up the base and the 3 capsules spin hig..
Our X-306 Robot has a retro printed tin body. Wind up X-306 and he rolls his big tin body along. He .. It's the Joker, Batman's archenemy! 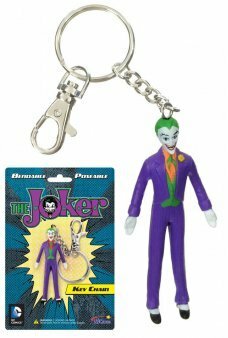 Pose the Joker into prankster action on this metal key cha..
Now you see it now you don’t! 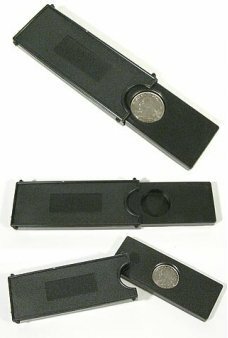 Where did my Quarter go? Our classic Magic Coin Box always surprises y..
It’s a tree ornament and a real tin pinball game too! Our toys are printed on a classic tin pinball ..